SAW024757 SCOTLAND (1949). John Brown and Co. Shipyard, Clydebank. An oblique aerial photograph taken facing north. 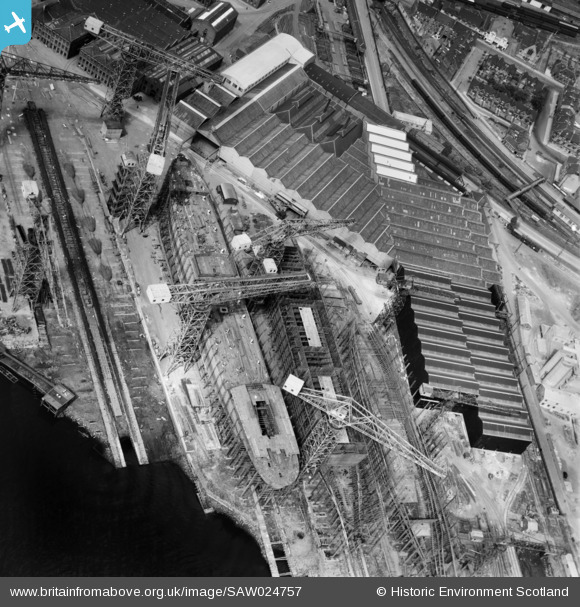 Title [SAW024757] John Brown and Co. Shipyard, Clydebank. An oblique aerial photograph taken facing north.